We Visited Frontier and Played JURASSIC WORLD EVOLUTION! Welcome to The Jurassic Park Podcast! This week we bring you some fantastic content straight from the offices of Frontier Developments in the UK! We sent contributors, James Hawkins, Steven Hurrell and Tom Fishenden, out to Cambridge to visit the offices of Frontier, where they interviewed members of the Frontier team and PLAYED JURASSIC WORLD EVOLUTION! Below, you will find all of our content from the day's events! 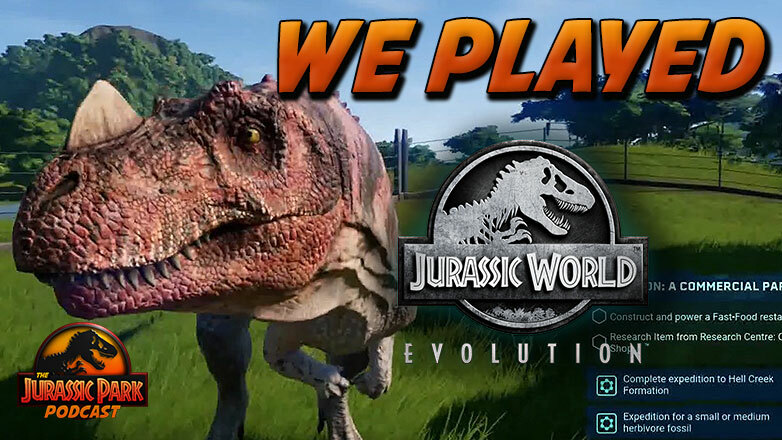 WE PLAYED JURASSIC WORLD EVOLUTION!! - Jurassic World Evolution Gameplay at Frontier! VLOG: Frontier Visit & Interviews w/ Jonny Watts, Michael Brookes & Bo de Vries! Bonus Episode: A Chat with Jonny Watts & Michael Brookes From Frontier! THANK YOU TO EVERYONE AT FRONTIER FOR ALLOWING US TO VISIT YOUR STUDIOS!